As a local manufacturer specialising in the production of sealants, adhesives, building chemicals, waterproofing products, roofing compounds, polyutherines, adhesive tapes and ceramic tile adhesives, Bond It has built up an enviable reputation in the marketplace. When they decided on increasing there production space it caused several space issues. They opted for an external storage warehouse on the same industrial estate and turned to Quickline for advise. 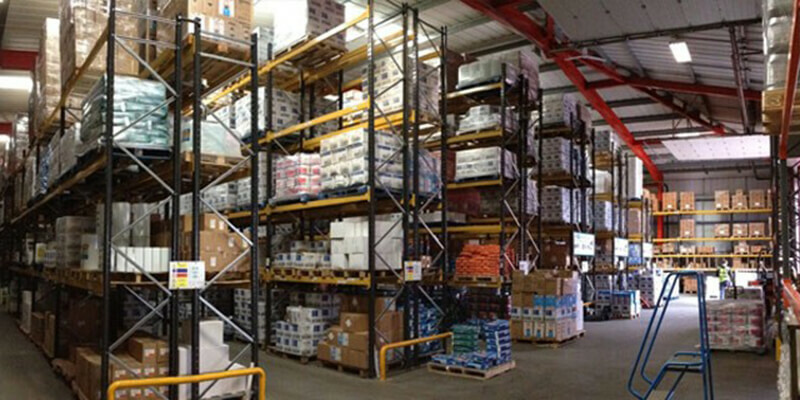 The distribution centre offers 20,000 sq ft of storage space. As the overall capacity was paramount we decided that an articulated forktruck solution would give them selectivity for their large range whilst retaining high pallet content. The system offered a total of 1,200 pallet locations of various sizes and included column guards and tubular barriers to the racking ends. The project went without issue and the client was happy to provide a testimonial to our work.